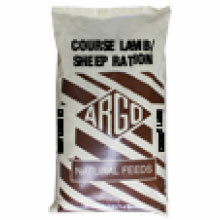 Can be fed as a creep feed or suitable as a maintenance diet for ewes and lambs. This coarse mix should be Introduced to a diet as a creep feed. 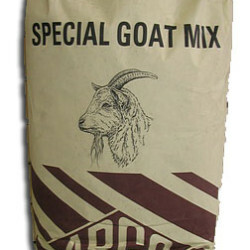 This ration is very palatable with a high specification to encourage early growth, containing no copper. Sunflower, Wheatfeed, Rolled Barley, Molasses, Oats, Oatfeed, Micronized Beans, Micronized Peas, Soya (produced from genetically modified soya beans), Linseed, Alfalfa Chop, Hifi Chop, Vitamins and Minerals, Salt, Calcium Carbonate, Glucose, Ammonium Chloride.